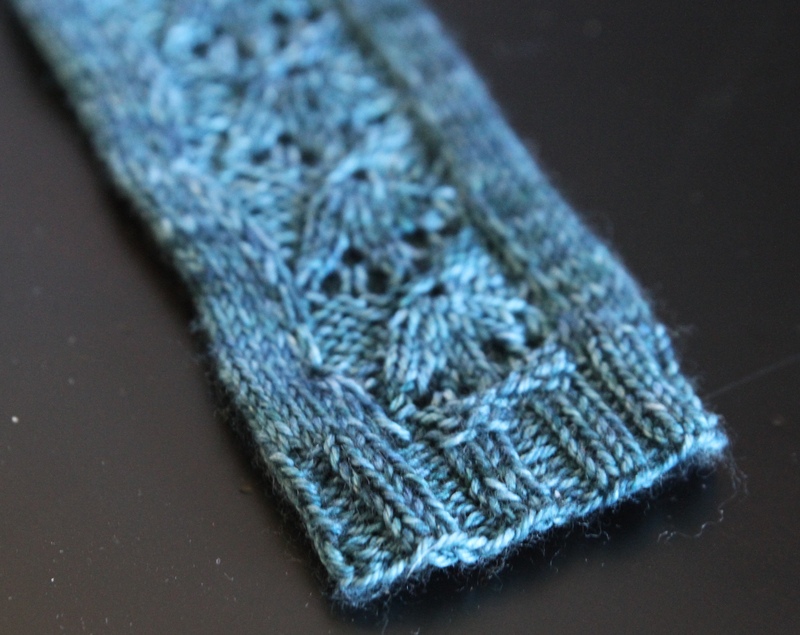 I had the pleasure to knit up Snowdrops by Dani Sunshine. 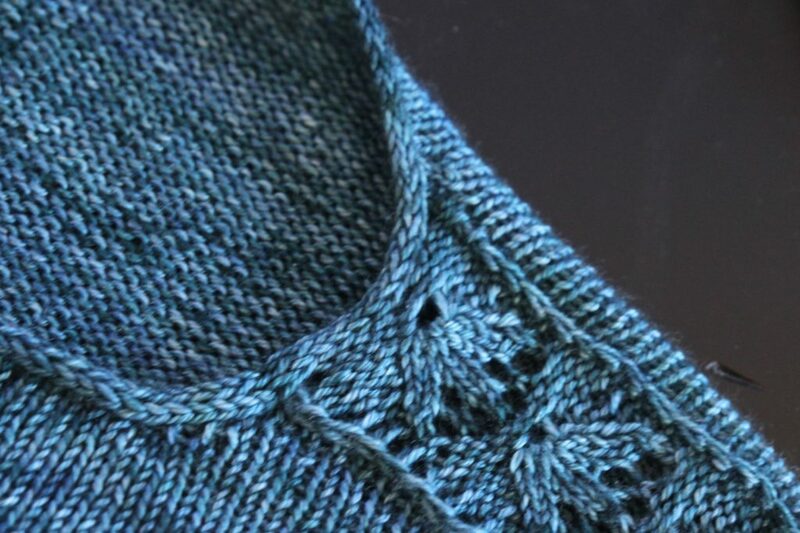 I have long admired it on her project page and was really excited when she mentioned that is was ready to be test knit. I don’ t really know where to start it is knit as a bottom up sweater where after after splitting the body for the sleeves you continue to work the front and back of the pieces before starting panels and the shoulder and working the sleeves from shoulder to cuff. 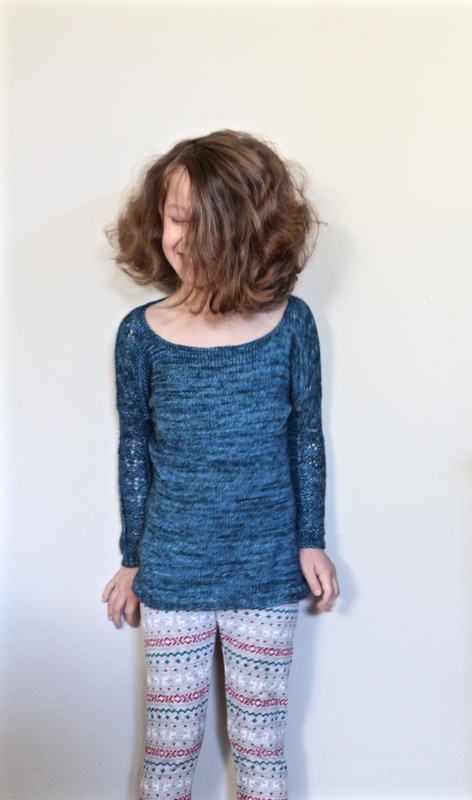 The lace detail is beautiful and it nicely offsets the stockinette body and the neckline with the i-cord gives it a clean line that doesn’t distract from the lace. 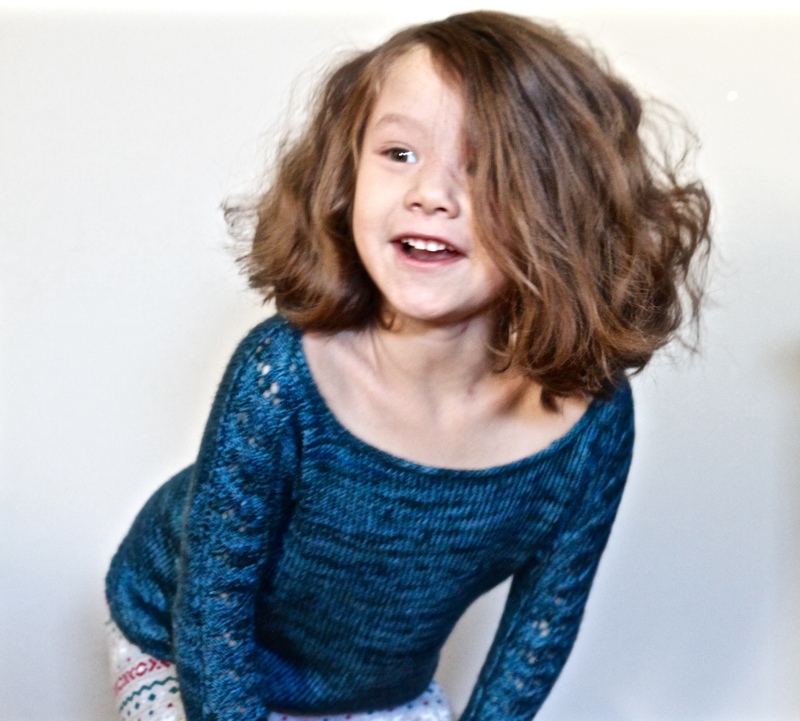 Dani’s patterns are clear and well written., best of all it gives my daughter a beautiful sweater (although she is starting to get quite the collect of sweaters these days (Maybe it is time for mommy to knit a .sweater for herself)). < Previous I have an idea…. Next > Learning a bit here and there. I wish I had her hair It is so nice and the natural highlights are unbelievable. My hair is on the thinner side so I totally feel you on this front.